Simply put, appearance is everything. Our entire team at AME Landscape Companies believes this to be true not only about your property, but with every interaction you have at all levels of our company. AME Landscape Companies employs highly qualified landscape professionals that work collaboratively to effectively address the complex landscape requirements of the desert southwest. In addition to our Senior Management Team our Field Specialists will successfully conduct all of the landscape management and coordinate the consistent service you, our valued client, deserves. 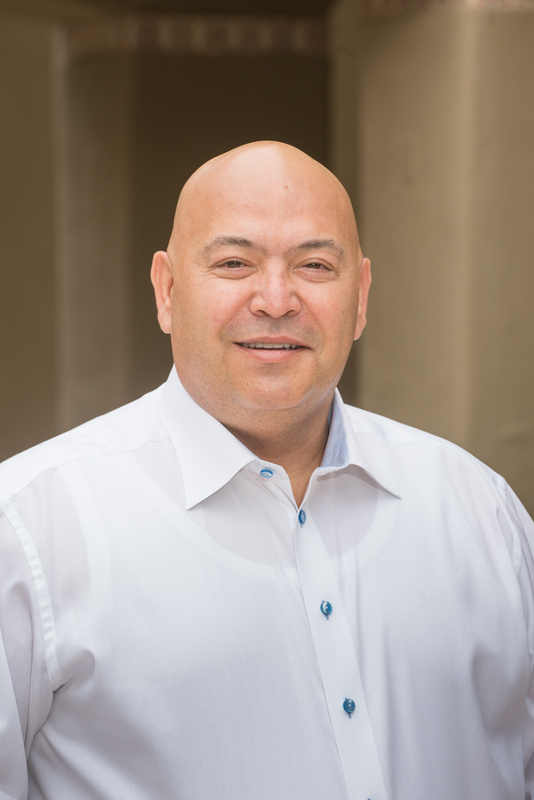 Michael L. Garduno is the president and CEO of AME Landscape Companies. With over thirty years of experience in the green and construction industry he has had the opportunity to work with projects in Arizona, California, New Mexico and Nevada. Michael has led the company for over three decades of growth and is very involved with the day to day management of all six AME divisions. He leads the company in implementing strategies for business growth and works closely with customers to further the vision towards other potential markets of expansion that will enhance their AME experience. On his down time Mike enjoys spending time with his wife, kids and grandchildren. He also enjoys yachting, golfing and off road activities. 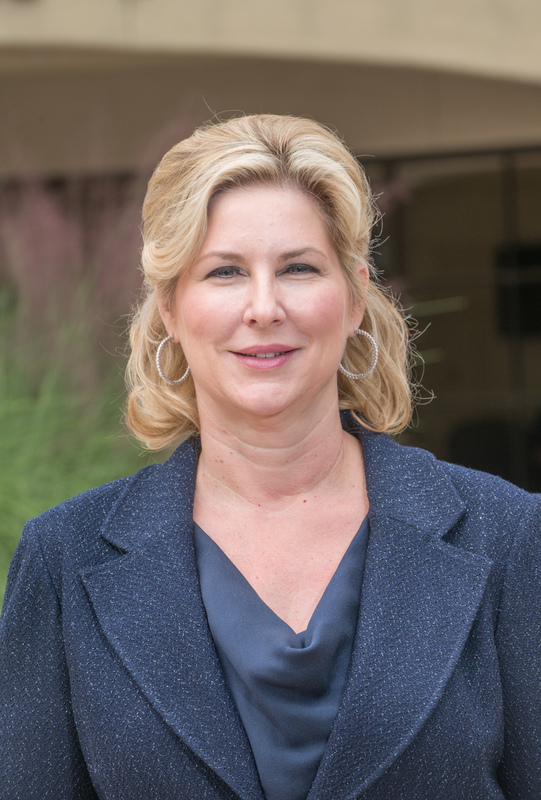 Lisa Garduno began in the landscape industry over 35 years ago and along with her husband Michael Garduno helped to found AME and currently performs as the corporation’s CFO. In her role as CFO Lisa oversees the administration and reporting of all financial matters within the corporation. She plans, organizes, evaluates and directs AME’s fiscal function and performance. She directs the development and implementation of policies that improve the effectiveness and operations of the corporation. She works closely with the AME management team on all financial matters including planning, budgeting and evaluating effectiveness of their implementation. Lisa directs the administration and reporting of all financial matters within the corporation. Away from work Lisa loves to spend time with family and friends, read and travel. She supports her favorite charities which include SAARC (Southwest Autism Research & Resource Center), St. Jude’s Children’s Research Hospital, Susan G. Komen Foundation, and Florence Crittenton Foundation. As CFO, Mike has 9 years of industry experience. 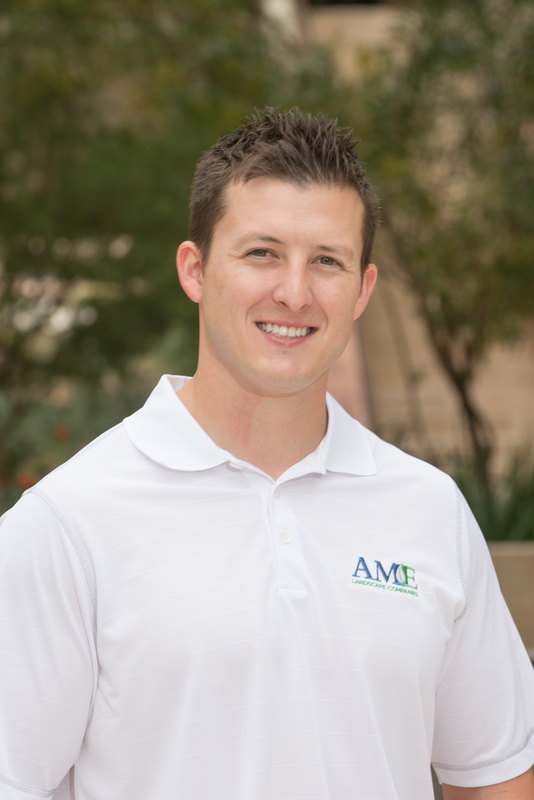 He is an International Society of Arboriculture Certified Arborist, is a Qualifying Party through the Office of Pest Management, certified Irrigation Specialist and has his Bachelor of Science in Business Administration from the University of Arizona. Mike’s primary responsibilities duties will include forecasting, budgeting and cash management, leading all financial reporting with all decision makers.He is the head of our Information Technology group that is charged with keeping AME systems as cutting edge as possible and allowing free flowing information from department to department within the organization in order to better serve our client base. Outside work Mike enjoys spending time with his beautiful wife and two beautiful children, staying physically fit and is an avid Dallas Cowboys fan. 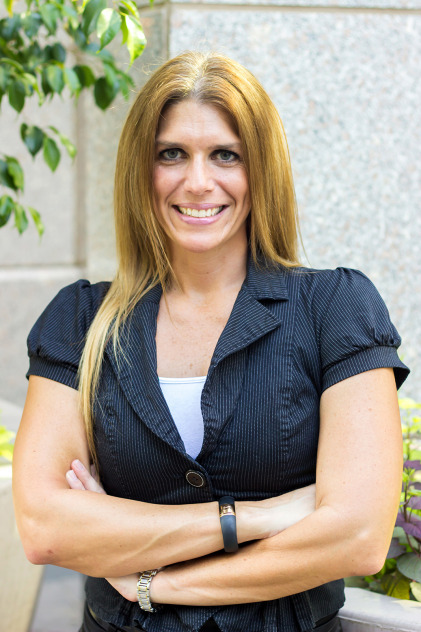 Autumn Garduno attended ASU and is currently the Office Manager at the AME corporate office in Gilbert, AZ, and has been working for the company for over 10 years. During her tenure at AME she has had many responsibilities with the company including Human Resources, Payroll, Accounting, Contract Administrator, and Insurance oversight. Autumn is an upbeat and very personable person who is always helping others where she can. Autumn is very goal oriented and believes in performing to the highest of standards. On a personal level, Autumn loves to spend her free time with her daughter & husband. 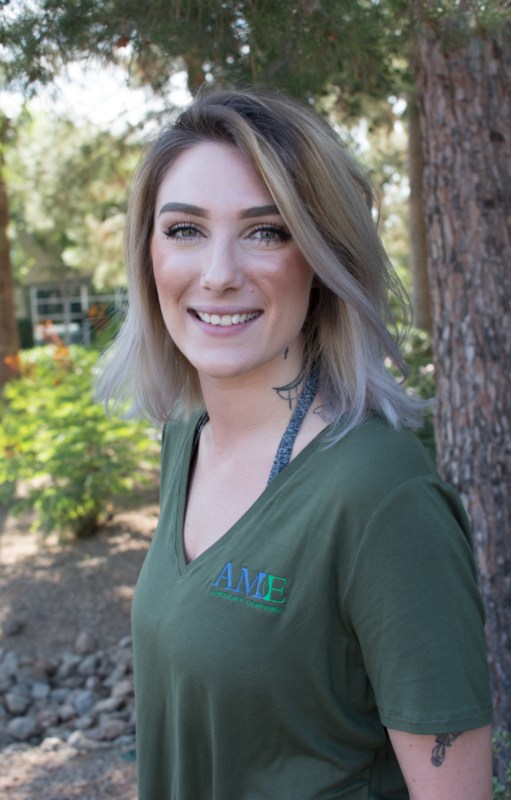 As the Dispatch & Logistics Operations Coordinator at AME Landscape Companies, Jessica coordinates worker availability, skill, travel time and availability of parts and materials in order to minimize our service request response time and effectively eliminate any field issues that our clients may be experiencing. Her ability to perform these tasks for our clients has been greatly enhanced with the use of our custom computer dispatching and management software. In addition to her dispatch responsibilities, she aids in customer support and documentation; job reports and statistics; inventory control/purchasing and employee management. Through her experience with many facets of the organization she is able to provide insight and assistance to AME clients in order to facilitate any information or requests that they may have. Outside of work, Jessica enjoys spending as much time as she can with her daughter and family. 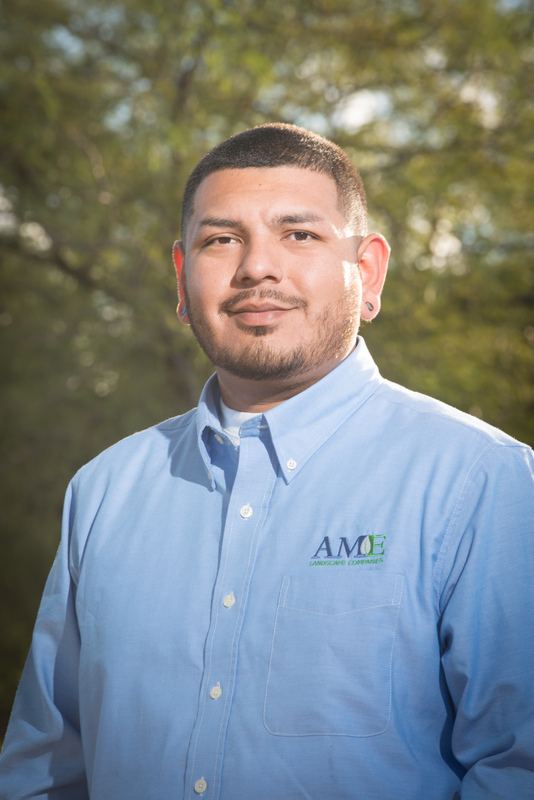 Eric Garduno was previously a Senior Account Executive with AME for 4 years. His history with the company has been very diverse, as he has worked in many different capacities for AME. As Director of Field Operations, he is responsible for securing resources and staff, inspecting properties and monitoring all landscape related systems. In addition, he will maintain and prioritize schedules, use resources knowledgeably and conduct quality checks, to ensure the projects are maintained to their fullest potential, as well as providing the appropriate immediate responses necessary to ensure customer satisfaction. 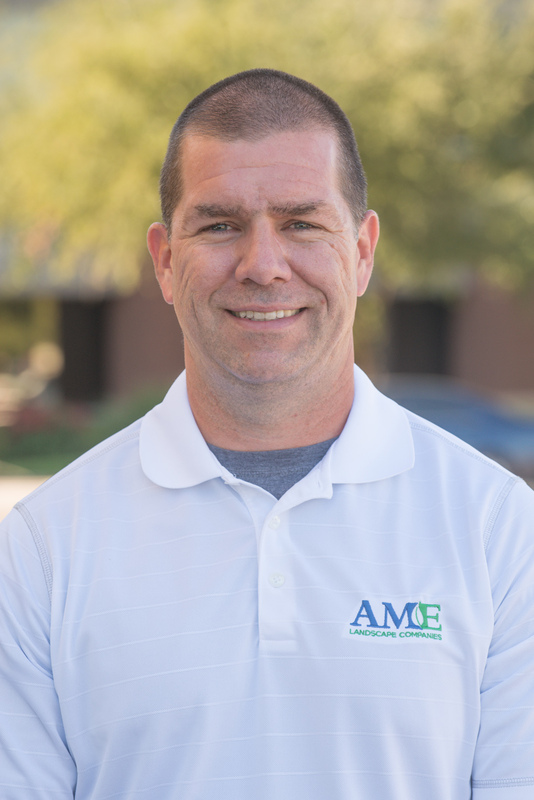 Eric’s credentials include: ACLP Certification, Certified in SLM, Certified with an applicator’s license in three different categories with the Arizona Department of Agriculture, which are General Pest, Weeds & Right of Way, and Turf and Ornamentals, along with completing an OSHA training course. 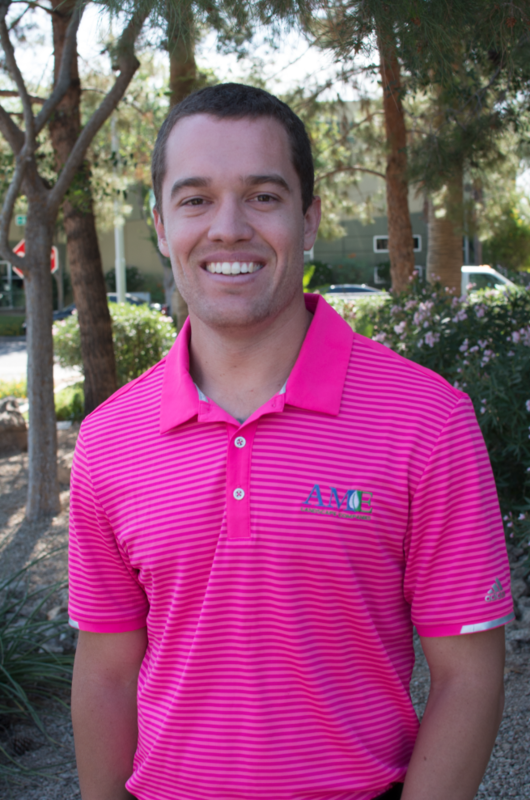 Eric has a Bachelor’s degree in Business Communication from Arizona State University. Eric balances work and family life, he is a father of two with his wife Jennifer. They have a son and a daughter, which they adore and are very involved with. Eric truly cares about his commitment to both work and family, enjoys and welcomes challenges, and stands behind his work and principals. Joe’s experience comes from over 25 years of industry experience, ranging from basic laborer to Senior Project Manager through attending industry specific training courses, studying different phases of landscaping and receiving certifications from the Office of Pest Management (OPM), Arizona Landscape Contractors Association (ALCA), Smartscape and SLM. He continues to enhance his education through educational courses from the International Society of Arboriculture (ISA) and water management classes through industry experts and suppliers. He utilizes these on-going industry courses, certifications and experience to properly educate field employees on the proper pruning methods, irrigation methods and overall landscape health. As a certified Irrigation Specialist, he utilizes his experience to properly program all types of controllers, ranging from the Tucor system to Satellite controllers to Smart Timers to basic commercial grade Irrigation Controllers to ensure that water conservation is at the forefront of our goals while maintain lush, healthy and vibrant plants, trees and turf grass at the sites we maintain. Outside of work Joe’s enjoy spending time and having fun with his grandchildren at their hobbies and activities, such as, karate, football and school activities. Michael Ortiz ventured into the Green Industry over 10 years ago and took an interest in weed and pest control. He received his certifications in right of way weeds (b3 and, became certified in turf and ornamentals (b5) through the Office of Pest Management. Through the use of his certifications he has extensive in-field training and experience, which aid him in his current day-to-day responsibilities at AME Landscape Companies. 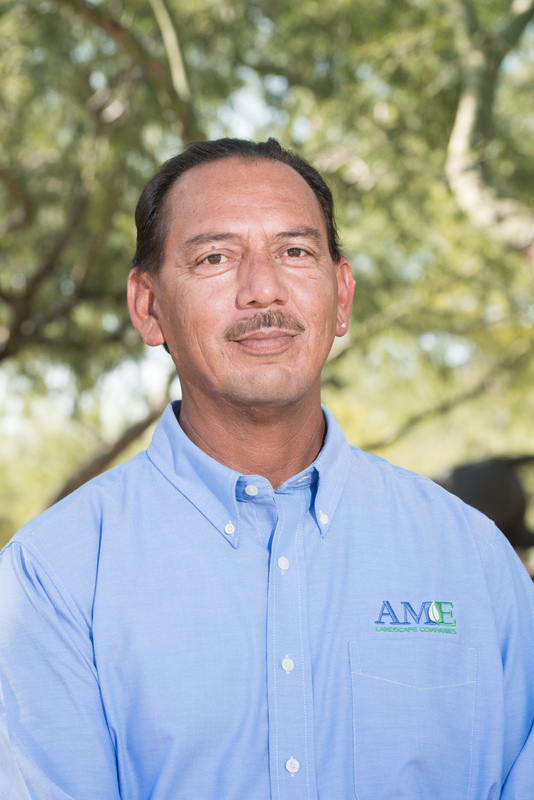 As the Manager of the Weed and Pest Control Division at AME Landscape Companies Michael properly trains and equips the staff in order to keep the properties AME maintains free of weed and pest infestations through the use of Integrated Pest Management (IPM) practices. When Michael is not at work or in the office, He is dedicated to spending time with his son and his activities. They have football and karate practice twice a week, with football games Saturday mornings. They also enjoy attending and watching all the Arizona sporting events. James Favela is a senior account executive at AME Landscape Companies with over ten years of industry experience. Having worked in the field for the first 4 years of his career James has firsthand knowledge of how to get things done correctly and efficiently. He continues his education in industry specific courses and has obtained a Sustainable Landscape Management Certificate through the Arizona Landscape Contractors Association. James is also an Irrigation Specialist certified . James plays a key part in the business development and new sales growth at AME. During his off time he enjoys spending it with his wife and daughter and enjoys working out and watching the UFC fights. 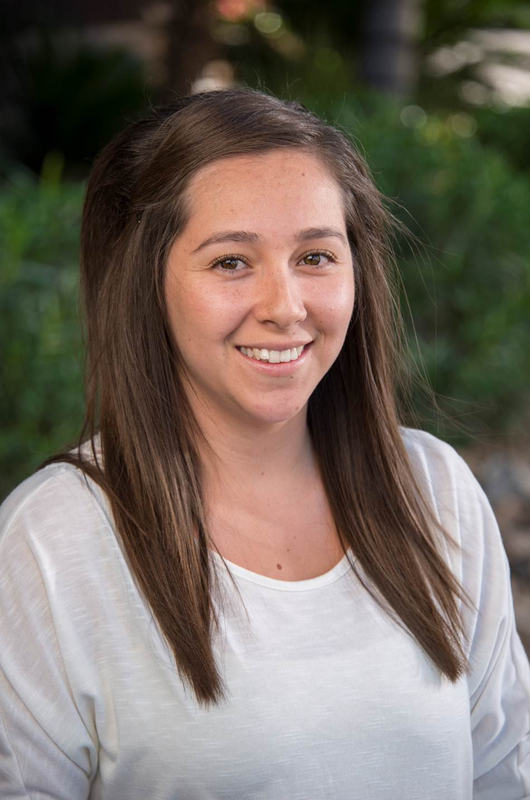 Alyssa brings a seasoned background in customer service management and excellence. As our client Relations specialist, she is primarily responsible for building and maintaining relationships with our current customers. Before taking on the client relations position, Alyssa handled dispatch for our operations department. This allows for more knowledge around how things can be handled in field. She is driven by customer experience and makes it her number one priority to see that each client has their needs met. Outside of work, Alyssa loves spending time with her husband and loved ones. New experiences, good food, music, and art are some of the many things they enjoy being involved in. Brooke is the Director of Social Media and Public Relations utilizing over 10 years of Acting, Improv and Hosting experience. She has a Bachelor of Science in Finance from Arizona State University. Her professional career started while she was attending Arizona State University with a Commercial Property Mortgage Company, BMC Capital, where they specialized in asset acquisitions. Her experience with asset acquisitions enabled her to see the value from a commercial real estate perspective of well-maintained and enhanced projects; allowing her to bring the AME message to market since 2007 through the use of our Social Media platform, as well as through hosting our information videos and customer events. Brooke is currently SLM Certified through ALCA, a member of BOMA, IREM, Accelerant and several other industry Association. Brooke is a former Arizona Cardinals cheerleader and enjoys being physically active, spending time with her three favorite people- her husband, Mike and two children, Grant and Isabelle and experiencing new and exciting things. 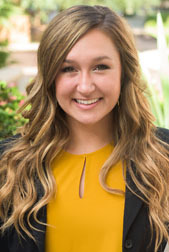 Hannah brings a background of commercial and residential contractor marketing experience and a Bachelor’s degree in Communications from Grand Canyon University. She is responsible for building relationships in commercial construction to grow the construction installation division of AME. In her role, she participates in industry associations and committees, such groups as Valley Partnership, National Association of Industrial and Office Properties (NAIOP) Developing Leaders association, Arizona Builders Alliance (ABA), as well as supporting marketing efforts for the company. Amanda Udvarhelyi, vendor relations/project coordinator, has over ten years of experience helping companies build their business and brand. She has worked with Fortune 500 companies to develop and streamline their operations, ensuring they are as efficient and productive as possible. She puts a high priority on building lasting relationships with vendors and understands the importance of maintaining those relationships for AME. In addition, she assists executive management with numerous projects to ensure AME is operating at the highest level possible. 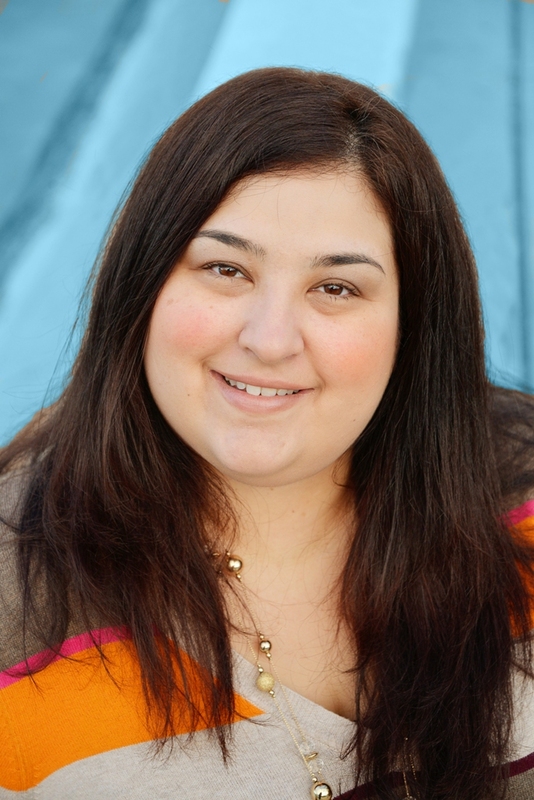 Amanda holds a Bachelor of Arts in Business Administration and an MBA in Organizational Development. Outside work, Amanda enjoys spending time with her three daughters and devotes a lot of time training for fitness competitions. 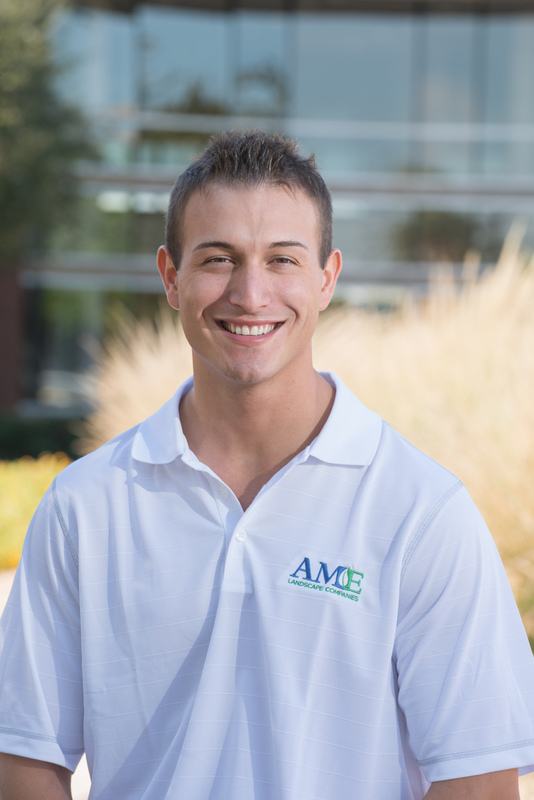 Austin is the Chief Estimator of Construction for AME. His responsibilities include overseeing bidding processes for new Landscape Construction projects, attending site walks and scope reviews, and any other valuable entities from a projects design development to inception. Austin also has a Landscape Design and Horticultural background obtained by his Bachelor’s in the Science of Landscape Architecture (BSLA) degree from Arizona State University. He has been included in a select group of students that were awarded a bronze medal at the San Francisco Garden show for their installation “Agave”. In his free time, Austin enjoys going to the gym, trying new restaurants, and golfing with his dad and brother weekly.